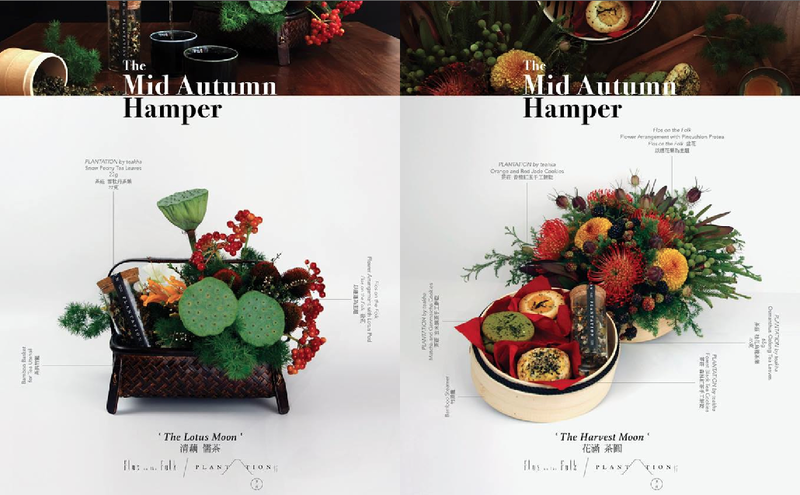 Together with local florist Flos on the Folk, PLANTATION by teakha is presenting two Mid-Autumn Festival hampers –The Lotus Moon ($780) and The Harvest Moon ($1,080) – that feature artfully arranged packs of tea, biscuits and fresh flowers. PLANTATION by teakha is a new craft tea brand created by Nana Chan (founder of the beloved teakha tea-centric cafés in Sheung Wan and Shek Tong Tsui) that showcases rare quality teas from around the world. The fragrant teas included in these festive hampers are snowy peony (The Lotus Moon) and osmanthus oolong (The Harvest Moon). The Harvest Moon hamper also offers tea-inspired biscuits with flavours such as forest black tea and orange and red jade. 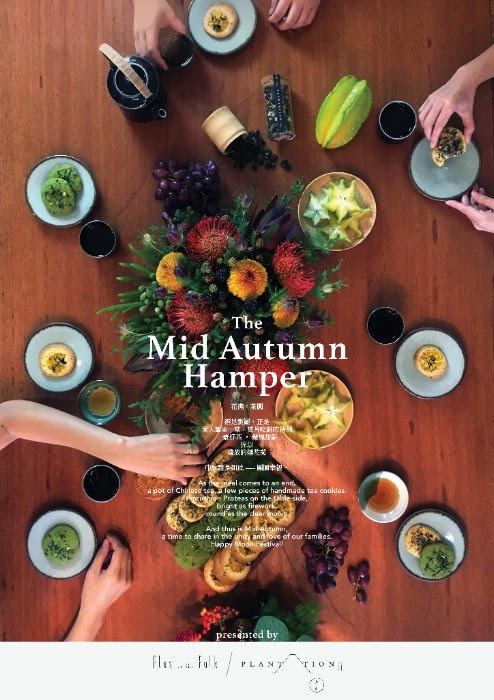 Both hampers come with fresh flower arrangements by Flos on the Folk. To order or enquire, email discover@plantation.hk or flosonthefolk@gmail.com or phone/WhatsApp 6204 2517. Final orders should be placed on or before 9 September 2016, and early-bird prices are available for orders placed on or before 31 August.